Toyota has suspended US tests of driverless cars on public roads following a fatal accident in Arizona involving one of Uber Technologies' self-driving vehicles. Toyota said it was concerned about the "emotional effect" the incident might have on its test drivers. The carmaker said it did not have a timeline for re-starting the trials. The Arizona accident has revived debate about whether autonomous vehicles are being put into use prematurely. 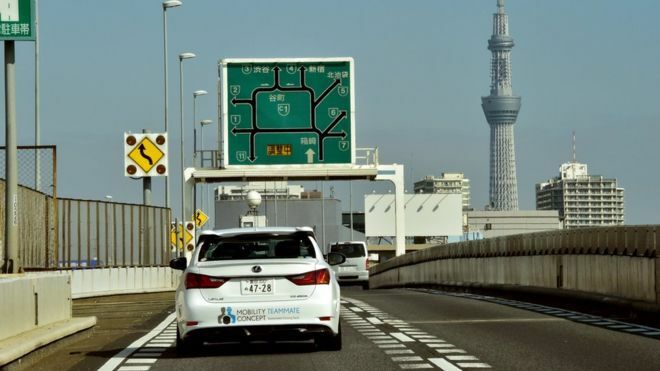 Analysts say the technology has the potential to reduce accidents and expand transportation options for the disabled and elderly, but some have warned that the technology is not ready and urged regulators to introduce more stringent safety tests. "Hopefully Congress will take note and stop rushing to deploy this immature technology," Missy Cummings, a professor of engineering at Duke University wrote on Twitter after the accident in Arizona. A survey last year by Pew Research Center found that more than half of Americans would not want to ride in a driverless car if given the option and expressed some level of worry about such vehicles. The accident in Tempe, Arizona on Sunday is believed to be the first fatality involving a fully autonomous vehicle. Police and federal officials are investigating the details of the incident, in which a 49-year-old woman was killed by an Uber car operating in autonomous mode. A human monitor was also behind the wheel. On Tuesday, Tempe police said they had reviewed video of the crash and repeated that fault had not been determined. Uber said after the accident that it would temporarily halt driverless car tests. Toyota has also been performing trials of its Chauffeur mode on public roads in Michigan and California. The firm previously said it expected some of its cars to be equipped with automated driving technology by 2020. "Because we feel the incident may have an emotional effect on our test drivers, we have decided to temporarily pause our Chauffeur mode testing on public roads," a spokesman said. He said the firm is continuing its tests of driverless cars in other countries.